Begin your research on Military Law with these prominent treatises and study aids. 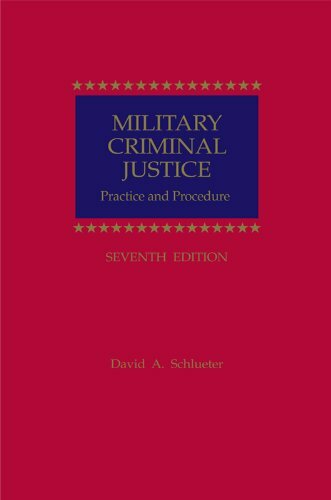 The study aid is a succinct summary of military law, and includes recent changes to laws such as the Uniform Code of Military Justice. This book addresses the body of statutory and case law covering both the military and military conduct. Four chapters discuss the relationship between the Supreme Court and military justice, covering the Civil War era, World War II, the post-war period from 1956 to 1987, and developments since the September 11, 2001, attacks. Each chapter also includes a set of documents that shed light on these periods of U.S. history. "William Wilcox examines the most common environmental issues that the military faces during wartime and peacetime and provides an introduction to the legal authorities - including statutes, regulations, and executive orders - governing the application of environmental law to military activities." Definitive treatise that covers both substantive and procedural aspects of the law.